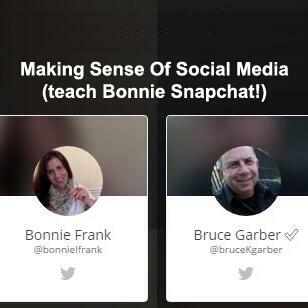 Today Bonnie L. Frank invited me onto her Blab show where we spoke about "Making Sense Of Social Media" (Teach Bonnie Snapchat!) . With Bonnie's permission to re-purpose part of the show, this is a short outtake. I hope it helps.